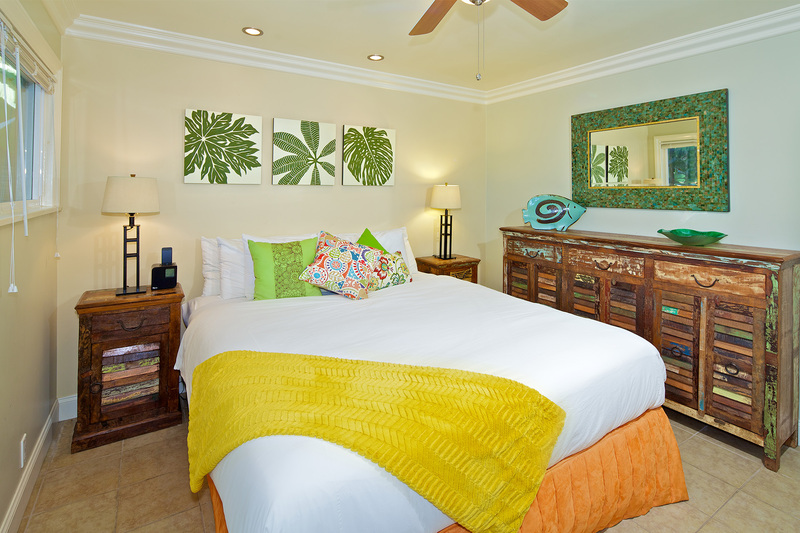 A lovely living room with a separate bedroom makes this suite the perfect accommodation for a small family needing some privacy. 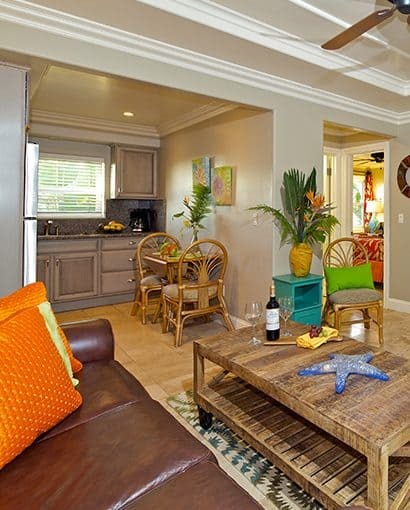 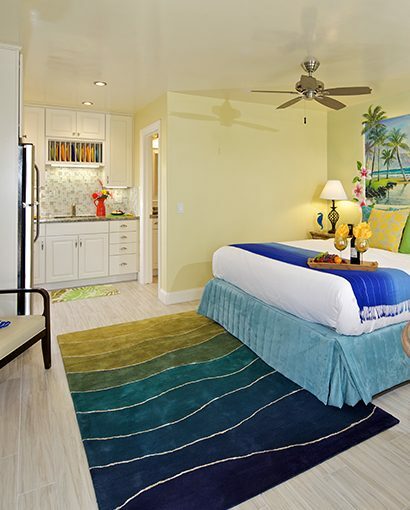 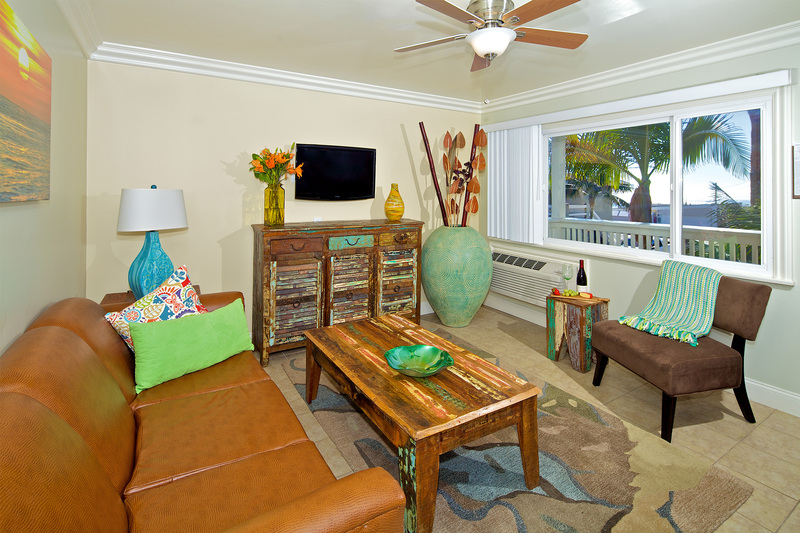 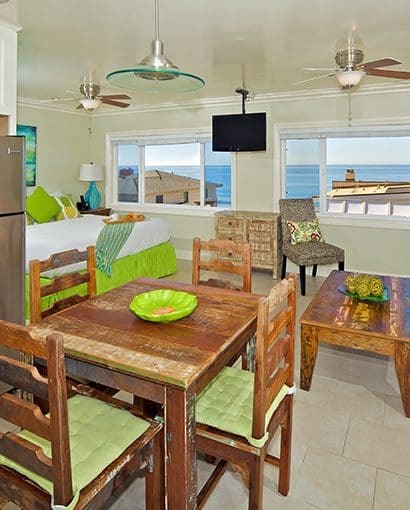 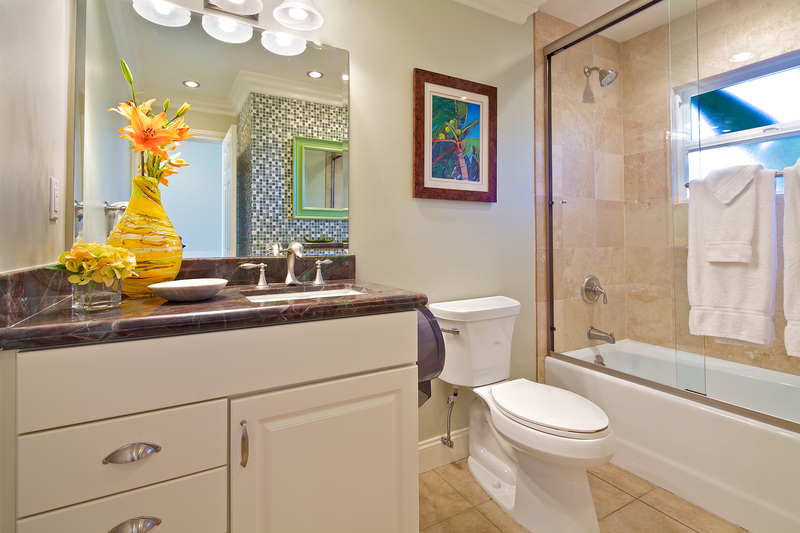 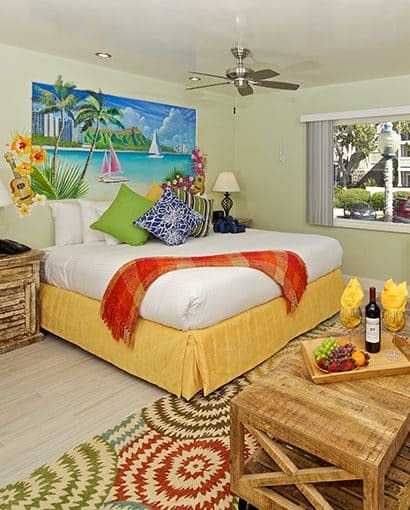 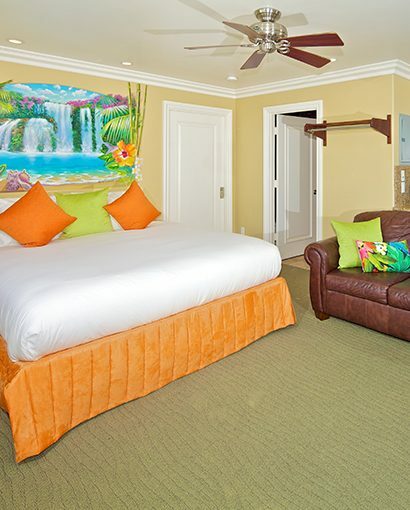 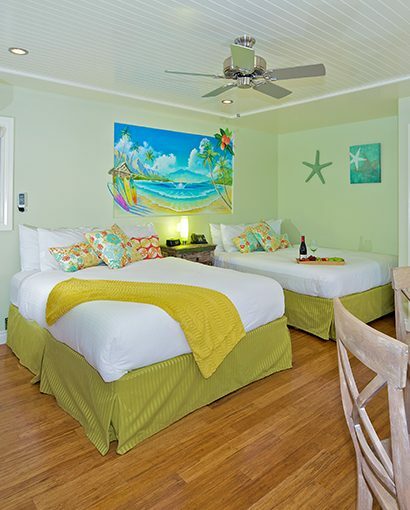 Enjoy garden and/or peek-a-boo ocean views in a 400-525 square foot suite beautifully renovated with top quality furnishings and beach chic decor. 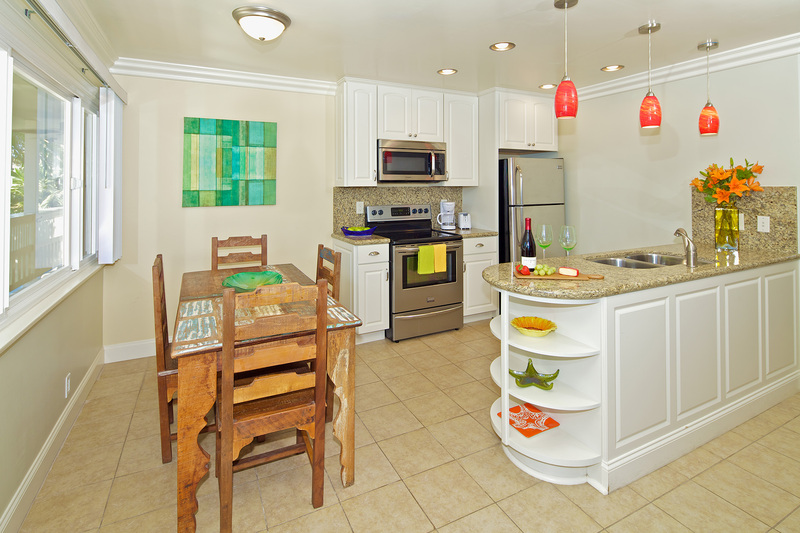 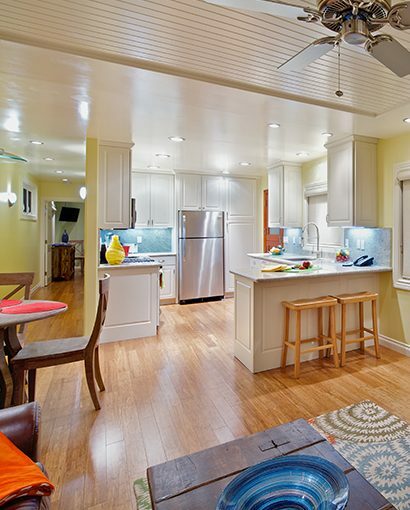 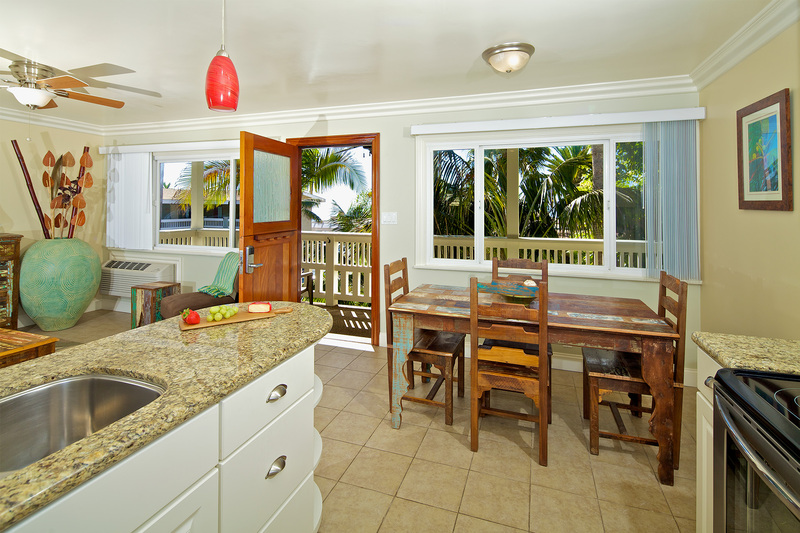 The large full Kitchen features a microwave, oven, stove, full-size refrigerator and freezer. 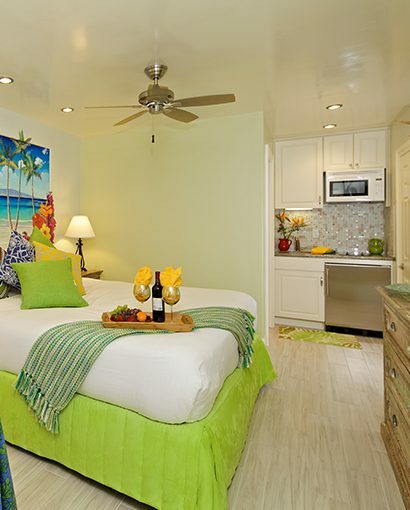  Find a 50” LED flat screen TV in living room along with a Queen pull out sofa, and a 32” LED flat screen TV in the private King bed bedroom both with HD Cable and free Wi-Fi.